I guess most of you are familiar with Monsieur Christian Louboutin's amazing red-soled shoe creations. 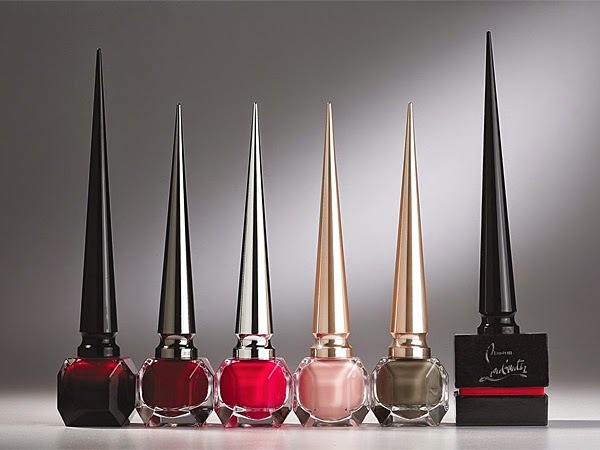 But recently he has also designed the most alluring little bottle, containing the perfect shade of red nail polish! The red sole was born from red nail polish. I am giving back to nails what the shoe took from the nails many years ago, he says about his new creation. The bottle was inspired by Louboutin's The Ballerina Ultima shoe, pictured with the bottle above. And the nail color offers an ombré effect unique to his signature red soles.